We have all seen those stories that get no comments and those stories that regularly get a handful of comments per chapter. This series will focus on providing tips on how to be one of the latter, not the former! 6/25 is a day of sadness and a day of reflection. 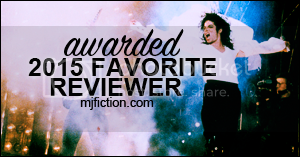 In honor of Michael's legacy and the authors who continue to bring us beautiful reminders of Michael, we bring you the Remembering Michael MJFiction Awards. Awards: A graphic for the winning story summary + labeled as "Award Winning"